When it comes to Weight Watchers and desserts, life can get a little tricky. There’s only so many points in a day, after all! 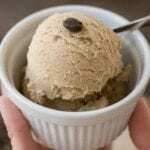 Try this Weight Watchers dairy free coffee ice cream the next time you have a sweets craving. 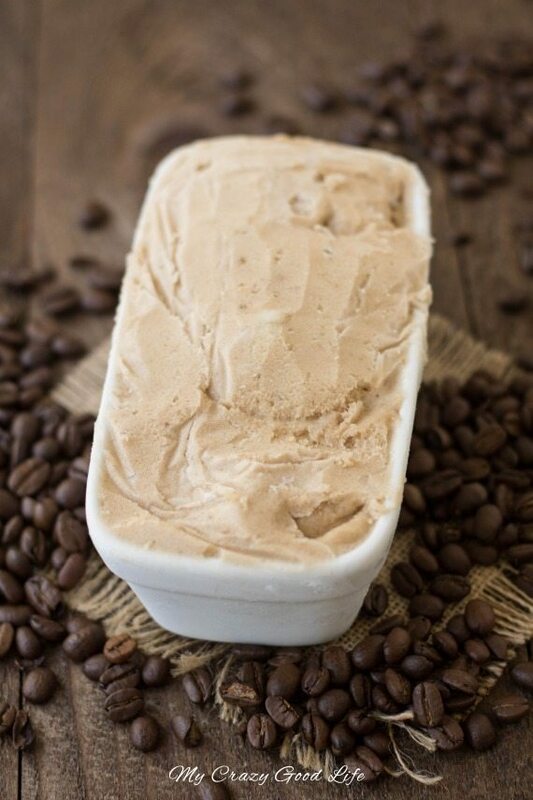 My recipe for Weight Watchers dairy free coffee ice cream is zero Freestyle SmartPoints! If you add sweetener to your coffee you have to count that, so it would be 3 Freestyle SmartPoints. After some questions about this recipe and others like it, I decided a chat with Weight Watchers was in order. Blended fruit that you drink through a straw is different from frozen fruit that you blend and include in a recipe like ice cream or soup that you still consume with a spoon. In regards to that rule WW advised me that 1/2 cup of the fruit in question is still considered free. Measure your bananas according to this calculation and you are fine to count this as free (without sweetener). The bananas I used fit into a one cup measure so for 2 servings this recipe counts as free for me. I can’t say this enough when it comes to Weight Watchers. You have to do what is right for you! This is how I calculate this recipe for my journey and my goals. I’m not you. You’re not me. I try and provide the best information I can so that you can see how I’m making this program work for my life. But that doesn’t mean that I’m doing things the way that you should do them for your life! When in doubt, do what I did and chat with a Weight Watchers rep. They’re available 24/7 via chat on the website and they’re super helpful! I think it’s also worth noting that this is a dessert, it’s a treat, it’s not something I’m eating everyday. One of the ways I see people struggling with the Freestyle program is that they don’t make smart choices. Just because something is zero points doesn’t mean you can eat hundreds of them everyday and expect to see results. 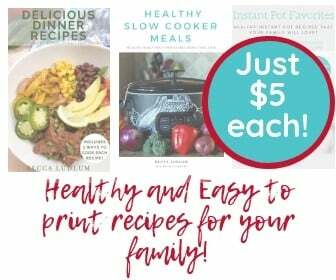 I consume this recipe like I do all the others on my plan; in moderation as part of a healthy lifestyle by making smart choices. I really enjoy bananas and they have so much natural sweetness that I don’t think it’s necessary, if you add it, track it! If not, you can enjoy this guilt free treat whenever you need a few sweet moments to yourself. It can be tough to find Weight Watchers dessert recipes that are free. In this case we luck out. The recipe calls for a lot of zero points foods that work together to create the perfect treat. Brew coffee. I made my coffee and sweetened with just a bit of sugar to my liking, as I was worried the ice cream would turn out a bit bitter. 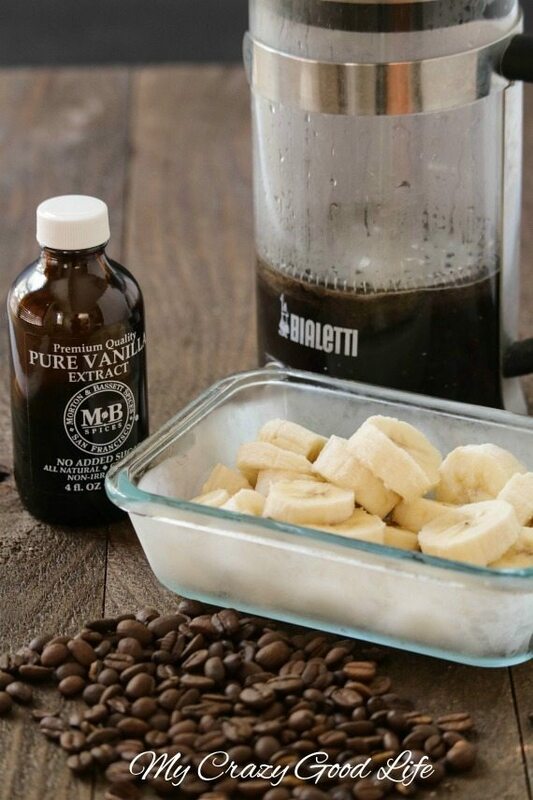 In a food processor, add the frozen bananas, coffee, and vanilla extract.Blend until smooth and creamy. Take it back to the freezer for an hour. This recipe serves 2 scoops for 2 people. 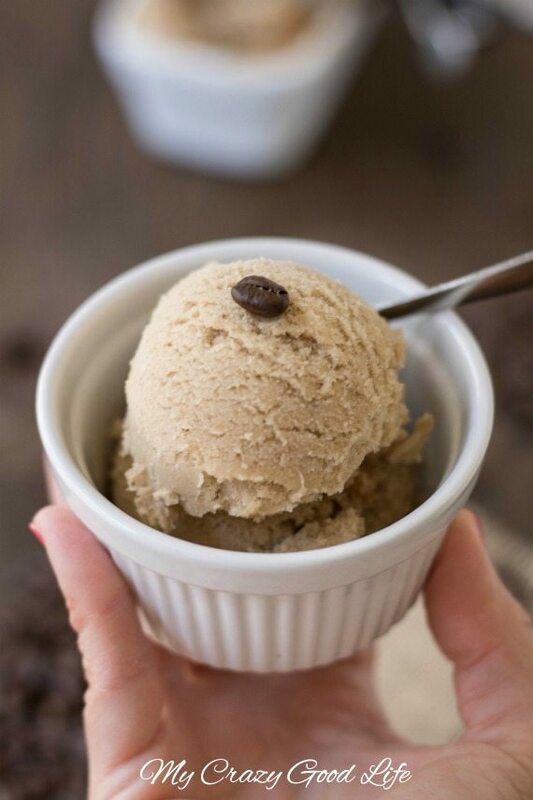 This Weight Watchers dairy free coffee ice cream is the perfect guilt free treat! No need to worry about splurging unnecessary points with this one! 1/2 tsp vanilla extract I prefer coffee extract if you can find it, but vanilla is easier to find! This recipe serves 2 servings. If your bananas are more than 1 cup total you can count the points for the bananas. I don't because my bananas were not a substantial amount over that 1 cup calculation. If you add sweetener to your coffee you need to count it so it would be 3 Freestyle points per serving! Thanks for your thoughts on this! I’ve realized now that I haven’t made a note in this post about my chat with WW on this topic! The short version of the story is that blended fruit that is frozen and then consumed like a soup or an ice cream is not the same as fruit you drink through a straw like a smoothie or a juice. 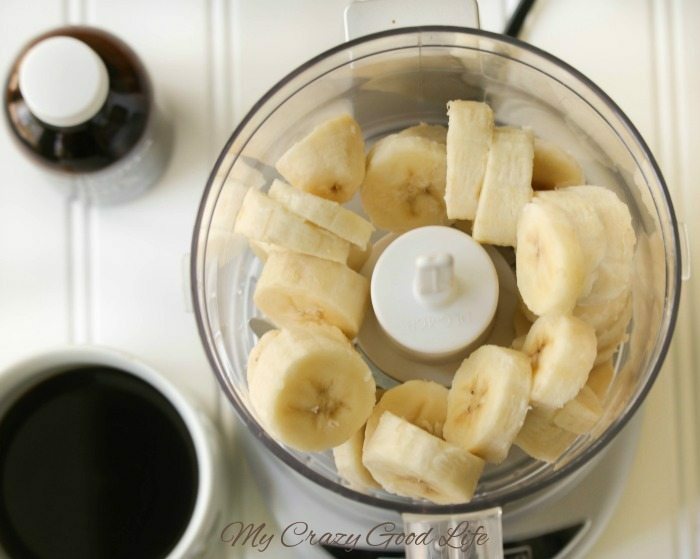 1/2 Cup is still considered free so using 3 medium bananas you would still be within that range per serving for this recipe. Thanks again for your comment and hopefully this information can help you see how I calculated this recipe for my WW log! This looks soooo good! Thanks for posting.